Finally, a way to get your daily dose of apple cider vinegar that tastes good! 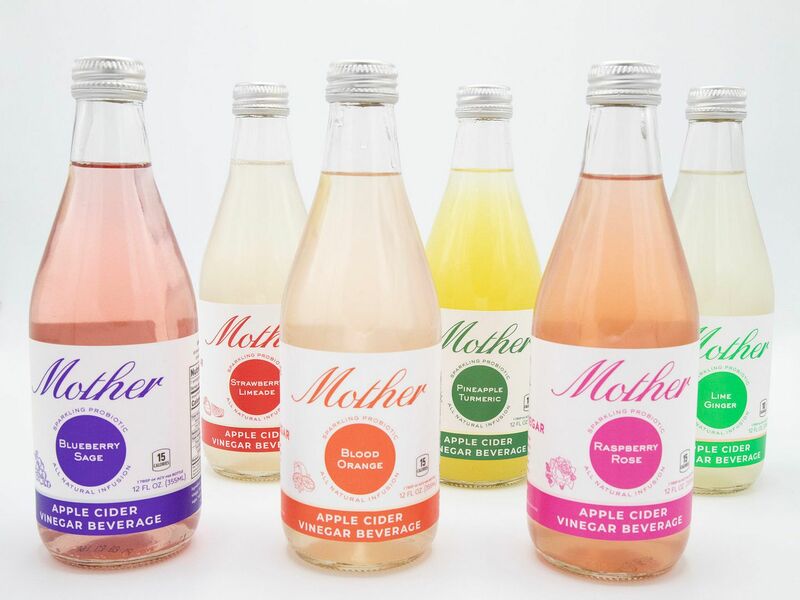 Yes, Mother Beverage has all the health benefits of apple cider vinegar (ACV), AND it’s something you’ll look forward to drinking. ACV contains probiotics and acetic acid that aids in digestion, stabilizes your blood sugar levels, and helps you detox and reset your immune system. You’ll notice that Mother looks a little cloudy, and that’s due to the raw unfiltered ACV or “The Mother” that has all the beneficial bacteria (aka all the good stuff!). Mother Beverage has a little fizz to it, and when chilled, it’s a refreshing drink that’s nicely satisfying and delicious. Sweetened with Stevia, an all natural sweetener, each bottle has only 15 calories and 2-4 grams of sugar. It’s available in 6 tasty flavor combinations: Strawberry Limeade, Lime Ginger, Blueberry Sage (our favorite), Raspberry Rose, Pineapple Tumeric, and Blood Orange. Drink to your health with Mother!